Ever heard of an echidna, a quokka, or an unau? No? 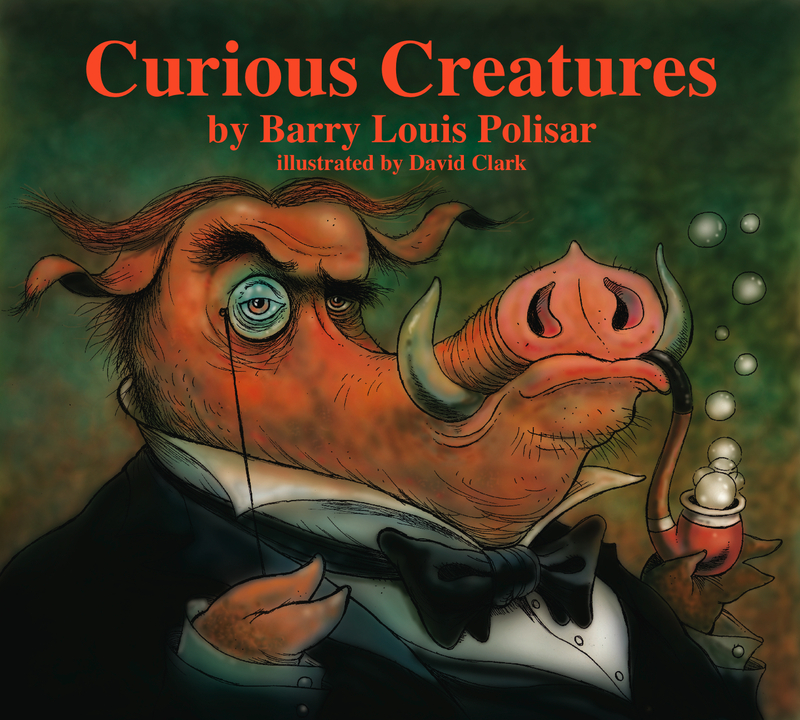 Get a quick lesson as well as a laugh or snort while reading Curious Creatures. 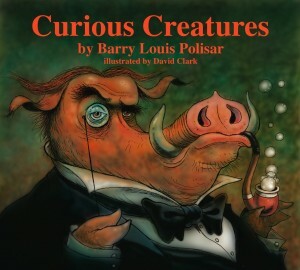 Barry Louis Polisar writes a uniquely fun book using short poems about quirky, rarely-heard-of animals as well as some more familiar ones. The poems are amusingly enhanced with David Clark’s comic illustrations. The poems are short to medium length rhyming ditties with several interesting facts and a sassy description about each animal and varying degrees of comedic storytelling through exaggerated imagery. The author’s voice is clearly admiring in some of the animal poems and descriptive of an animal’s unusual (to us) behavior. The voice and illustrations as well as the large easy-to-read font are geared towards elementary aged children. In some poems, he compares the animals’ behaviors to children’s behaviors, relating to and emphasizing the target audience. A page full of clarifying and additional facts (in smaller font) about the 15 animals is found at the back of the book. Although the humor may not appeal to everyone, it is definitely memorable and encourages children to learn more about the variety and habits of animals sharing our world.